We are having a pretty typical late winter for Eastern Washington. The sky is overcast most of the time; like a layer of dryer lint covering everything. While the temperature isn't bad, it could be worse, it really takes a blast of sunlight to get me moving. Yesterday was such a day. The sun showed itself, and it inspired me to get on with doing spring colors. 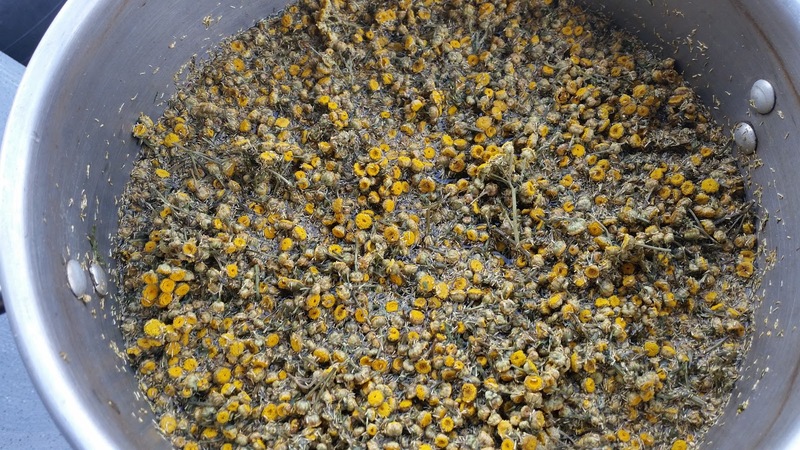 These are tansy flowers I dried and saved from last summer. I vaguely remembered that you don't necessarily need to use a mordant with them, but decided I had better review different methods. In Harvesting the Color by Rebecca Burgess, she soaks the flowers over night, then simmers for an hour and adds the fibers that were pretreated with alum. Jenny Dean in Wild Color gives color swatches for un-mordanted fibers, alum mordant alone, and then with an iron adjunct. 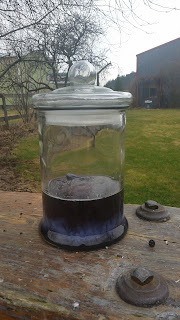 Since I have several pieces of silk pretreated with alum I am making a big batch of dye so I could dye some yellow, but then take the other half and put it in my iron pot and dye some green. Since these are dried blossoms I thought the idea of soaking them over night was a good one. While I was making sunshine it dawned on me to make blue sky too-so some of my fabric went into a black bean dye. As soon I strain off the tansy dye into other pots I will make up a spiral eucalyptus dye that gives a soft peach, the color of the neighbor's roses that will bloom in a few months. 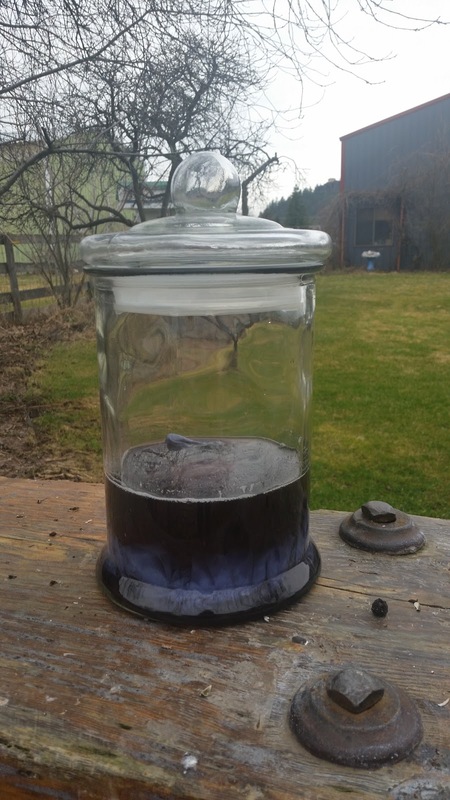 If I can't have spring outdoors, I can make it in my dye pots!